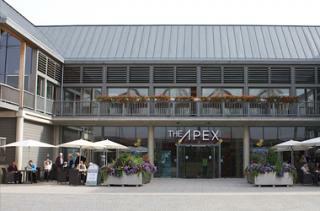 The Apex, in partnership with Prestige and Sodexo will be putting on a night to remember - Las Vegas Style! The party will begin at 7pm with drinks in the welcoming lobby of The Apex. Following this, a three course Christmas Dinner will be served at 7:45pm in the Auditorium (click here to view the menu choices). After the meal, the tables will be cleared for the dance floor and DJ, which will begin at 9:45pm. There will also be casino tables and a Rodeo Bull in the lounge and lobby to entertain guests all night long. 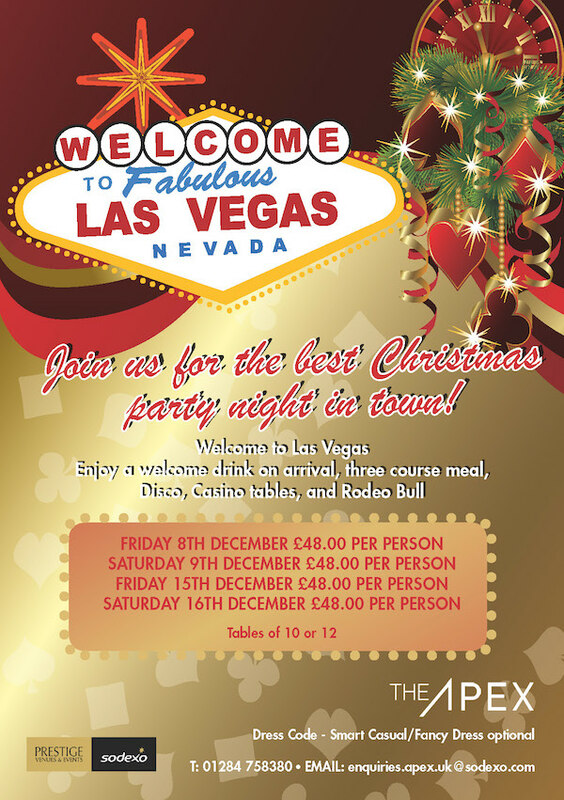 The Las Vegas themed party nights will be taking place throughout December and there is currently one table, for between 10 and 12 guests, available on the 8th, 15th and 16th December. Tickets are £48.00 per person which includes an arrival drink, three course meal, casino tables, rodeo bull and a DJ. For more information about the fabulous event, check out the flyer below. Alternatively click here to find out more and to enquire about booking. Committed to delivering an unrivalled range of recruitment services covering permanent, contract, and interim appointments. An established local veterinary practise that is proud to provide a professional caring veterinary service.